We know what you mean. It seems Google is constantly changing and tweaking their algorithm in an effort to improve their search experience and accuracy. We should be grateful, as these changes help our customers better connect with the services or products they’re searching for, it still seems like a huge task to keep up with the latest “best practices” for your website when it comes to search. But don’t worry, we’ve got your back. Read on to understand exactly what this new “Mobile-First Index” entails and what your company needs to do to stay ahead of the game. Mobile devices are so much part of our lifestyle these days that finding an individual without a smartphone or tablet is like finding a needle in a haystack. Being as the internet isn’t even 30 years old, it’s amazing how much we take for granted having all this information available right in our pockets or purses. As so many people use their mobile devices to search the internet, it has become the practice for web marketers to create a mobile version and a desktop version of a website by utilizing ‘responsive design’. This way, when someone is searching from a mobile device the mobile version appears, and vice versa. Mobile versions of websites are created to be faster, easier, and more efficient for use from mobile devices. Google has found that the majority of internet searches performed are mobile, as opposed to from a desktop computer. Even so, when deciding how to rank websites in the search, Google has (up to this point) looked at the desktop version of websites. With the upcoming “Mobile-First Index”, however, Google is planning to switch over to looking at the mobile version of websites instead. In order to better understand this new update and what is meant by “Index”, let’s take a look at how the search engine works. Did you know there are over 1 billion websites in existence on the internet? When considering the gargantuan amount of data floating around out there, it no longer comes as a shocker that Google is constantly striving to make their search more efficient. Not only do the “bad” webpages (read: inaccurate, spammy, etc.) need to be sorted out, but Google’s system has to be able to accurately identify what each of the “good” webpages (read: informative, easily accessed, etc.) are about so when a search query is made, those pages which contain what the searcher is looking for appear first. In order to do so, Google has an “Index”. This index contains all of the webpages recognized by Google. When a search is made, Google sorts through all of these web pages to see which contain the search terms or “keywords” the searcher has entered. Where does Google look for keywords? In the Title. A webpages’s title is what you see first when performing a search on Google. It’s in big letters at the top. In the Meta Description. This is the short paragraph found under the title which explains what the webpage is about. This is often a snippet of the page’s content. In the URL. This is the “http.” part which can be found between the title and the meta description, and in the top bar after you click on the link. In the Content. This is arguably one of the most important places where Google looks for the keywords. Not only does Google look to see that the right words are present, but also looks at the structure and meaning of the content to make sure that the page is really about what it says it is and holds useful and relevant information. In the Headers. These are part of the content. They are at the headings at the beginning of paragraphs that break down the content to let the reader know what each section is about. Now that we know Google will be looking at the mobile versions of websites and understand the essential role the index plays in search, what about those businesses who haven’t made a mobile version of their website? If you don’t have a mobile website, you will still be okay with the upcoming “Mobile-First Index”. Google has directly spoken out on this issue, stating they will default to looking at the desktop site if a mobile one is not present. However, Mobile-First Index update aside, businesses should consider the importance and benefits of a mobile website. However, even if you will not be drastically affected by the Mobile-First Index, your business is already missing out on many opportunities by not having a mobile version of your website. Over half of website visitors will leave a website within the first 15 seconds, even on a desktop. Poor navigation, slow load times, incomplete information- these are just a few of the reasons why internet users abandon a site. That’s why it so important for websites to be built using the best practices and to be regularly updated and optimized. We know that the majority of users are searching from mobile devices. Mobile users, even more than desktop ones, are looking for quick, accurate information. They’re on the go and they’re used to everything being, quite literally, right at their fingertips. Some of the problems mobile users encounter are the same as those experienced on a desktop, such as slow load times of pages and pictures. However, their are some issues that are unique to mobile web surfing alone. One of the biggest problems is page size. There’s nothing quite as frustrating as trying to view a webpage that doesn’t quite fit to the screen of your phone. You pinch, swipe, turn your phone on it’s side, but the words still come up too big, too small, or disappear over the edge of the screen and refuse to be coaxed into view. Mobile-websites are specially designed to avoid these sorts of issues, providing users with a clean, simple layout allowing for frustration-free navigation. The moral of this mobile story? Having a mobile version of your site is a good idea, even without the upcoming Mobile-First Index. Internet users will often leave a difficult to use website for a competitor’s site. This loses website traffic and, most importantly potential customers! With that said, let’s get back to the Mobile-First Index. How will the Mobile-First Index affect current rankings? 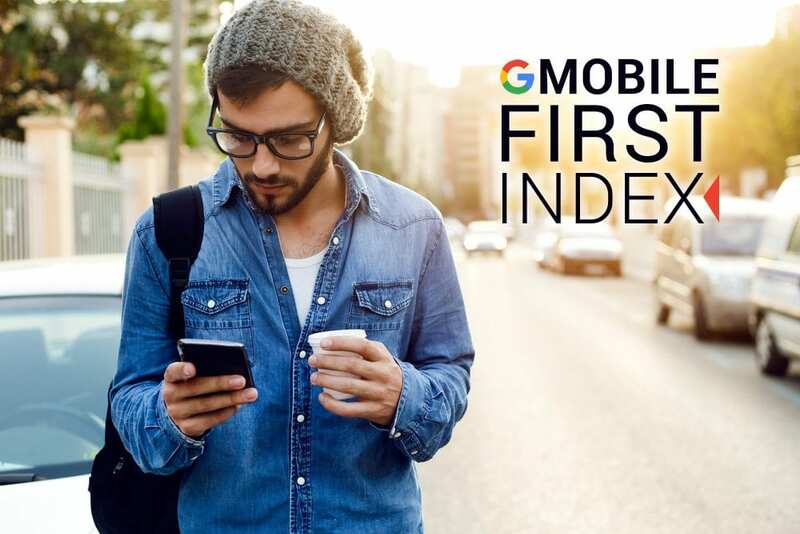 The Mobile-First Index is not yet fully in effect, as Google will be testing this change over the course of the next few months. Even after the change takes effect, if you are already performing well in the search rankings, you should continue to do so. Google does not expect to see a drastic change in rankings, as websites who are providing quality will still be recognized. Companies that wish to add an extra boost to their rankings, however, can benefit by the update by optimizing their mobile website. Not all mobile version websites are created equal. In light of the Mobile-First Index, Google has stated that those with a responsive website or a dynamic serving site, should not need to make any changes. What is a “Responsive” Website? To understand a responsive website, it is easiest to think of a glass of water. If you take the water and pour it into a bowl, the water takes on that shape. The same will happen no matter what size or shape container you choose. This is exactly how a “responsive” website works. It recognizes what sort of device the user is on, be it smartphone, tablet, or desktop, and molds the website’s content to suit the device. My Website isn’t Responsive…Now What? Consider making changes to your website. Even if your site is responsive, follow through with the below checklist/steps-to-take to ensure your website is ready for the Mobile-First Index. Test the Structured Markup of both the mobile and desktop version of your website. Google Webmaster provided a link to their Structured Data Testing Tool. Your mobile and desktop sites should be near equivalent. Note: Google Webmaster also recommends “avoiding large amounts of markup that isn’t relevant to the specific information content of each document”. Verify your mobile website is accessible to Googlebot by using the robots.txt testing tool. Verify the mobile version of your site in Search Console. Many website owners have verified their desktop version, an action that does not automatically verify your mobile site. Considering Building a Mobile Website? As we said before, even without this new Google algorithm update, having a mobile version of your website is a no-brainer in this mobile age. However, if you are planning to build a mobile website, make sure to build it right. A broken or malfunctioning mobile website will hurt rather than help your business, especially with the Mobile-First Index, in which instance it would be more beneficial for Google to resort to looking at your desktop site. Having a team of professionals on your side who understand the in’s and out’s of Google makes it easier to keep up with the latest search updates and best practices. We’ll ensure your customers are able to easily find and connect with your business online, meaning you’ll have more time to devote the customers themselves. If you are interested in building a responsive website, or have more questions about how the Mobile-First Index will affect your business, the team at Sanctuary is here to help. 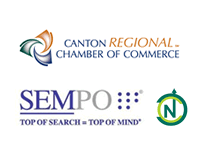 Please give us a call at: 330.266.1188 or contact us for a free assessment.